We live in a world where we have never been more connected, with ‘always on’, demanding lifestyles, working across time zones, time codes and 24 hours. When you don’t have time, time is exactly what you wish for. Crestron helps you get it back, with technology that keeps pace. By connecting your space, through light, heat, sound and vision, you can take command of your environment, optimizing your home to suit you. It’s about setting the right mood or security you can rely on. It’s about the cinema experience and a warm welcome after a long day. It’s about knowing you, knowing what you need and when you need it. This is the technology of lifestyles. The technology of living well. Your home. Where you belong. Where you live your life, the way you want to live it. With Crestron automation behind the bricks and glass you’ll know the meaning of luxury, as our technology seamlessly, effortlessly creates an environment that responds to your needs, getting to know you, making life simpler. So you can get on with the things that really matter. 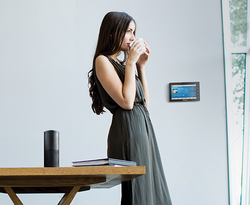 connects with Alexa Voice Service allowing your wish to become a command. As the day begins simply ask Alexa to activate ‘morning theme’ for the blinds to slowly open, lights to go up, with a warm shower running waiting for you to start your day just right. 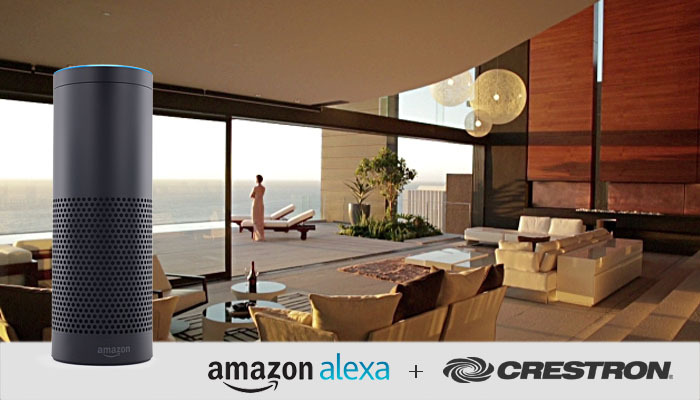 With Crestron weaved into the fabric of your home you can manage light, temperature, audio and visual all at the touch of a button. Now, effortlessly connected with Amazon Alexa if you want to set the mood for an intimate dinner, or pump up the volume of your favorite song, you only have to ask. It’s your home, responding to your voice.